The retail market research planner contributes to REI’s retail expansion goals by conducting market and site analysis. The position is responsible for prioritizing our new market entry opportunities, developing site specific sales forecasts and preparing cannibalization projections. Responsibilities include operating mapping software to illustrate market area demographics, transportation infrastructure, competition, member activity, trade areas and possible sites or target areas. Analysis includes traveling to markets to assess the trade area and validate site location and sales opportunity. Responsible for preparing and presenting analysis for site approval to the Real Estate Advisory Committee. Work with key contacts in all divisions to achieve research goals for existing stores and new development. 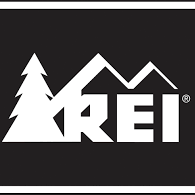 Develops prioritized REI new market opportunities for retail stores on a national basis. Identify market nodes or locations within a market based upon traffic patterns, market demographics, competitive analysis, retail activity, growth patterns, redevelopment, market study, and occupancy costs. Determine optimal number of REI locations in markets and forecast and review sales scenarios. Forecast store sales and cannibalization projections. Identify most salient factors driving the analysis (demographics, sister store competition, location attributes, and competitive presence). Provide decision support and recommendation in both written and verbal presentation formats based on general market knowledge, existing and forecasted sales patterns, member activity and competitive information. Prepare & present site research for real estate approval process. Provide analysis on optimizing sales and minimizing the impact of cannibalization. Function as the GIS expert within the company. Stay current with changes in technology and industry best practices. Operate mapping software to illustrate market area demographics, transportationinfrastructure, competition, member activity, trade areas and possible sites or target areas. Execute demographic analyses to support site and market strategy. Conduct new store post-opening analysis. Maintain a map library of each store’s member base and sales distribution. 5+ years experience in retail store location analysis, strategies and sales forecasting tools. National multi channelretailer/large box market research analysis experience. Proven track record demonstrating site selection principles and techniques. Knowledge of numerous U.S. CBSAs. This includes an ability to speak to a market’s primary economic drivers, significant retail nodes, and population growth areas. Demonstrated understanding of GIS software – Map Info knowledge is a plus. Demonstrated ability to conduct extensive research via the internet and otherchannels. Demonstrated software proficiency: MS Office (including: Excel, Word, Powerpoint). Strong presentation skills, verbal and written communication skills required. Independent problem solver with strong organizational and interpersonal skills. Ability to multi-task and participate within a team environment. Bachelor’s degree: geography, business, urban studies, demographics or equivalent experience.